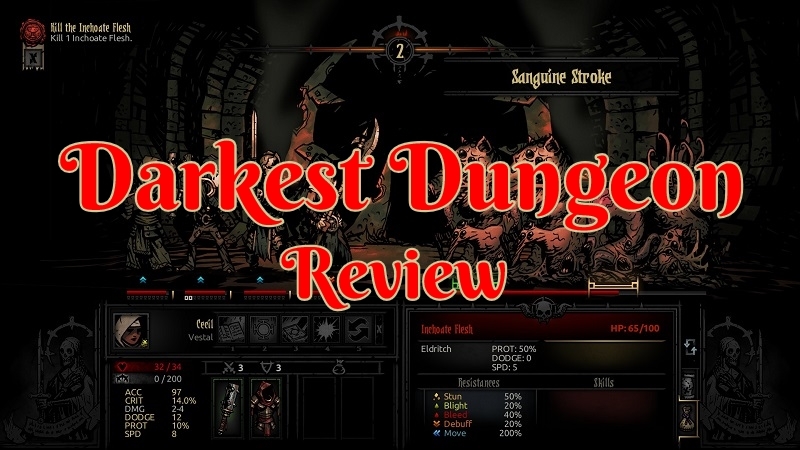 Darkest Dungeon can be a rather brutal dungeon crawler where you will lose heroes, have setbacks, and have things spiral out of control. On a good in-game week your heroes survive the dungeon you take them along in. Player actions play a huge role in everything from the party makeup. What items you choose to take along. How much risk you want to take or try and escape while not finishing the dungeon if things go wrong. Along you’re your choices of building and gear upgrades to take on harder challenges. 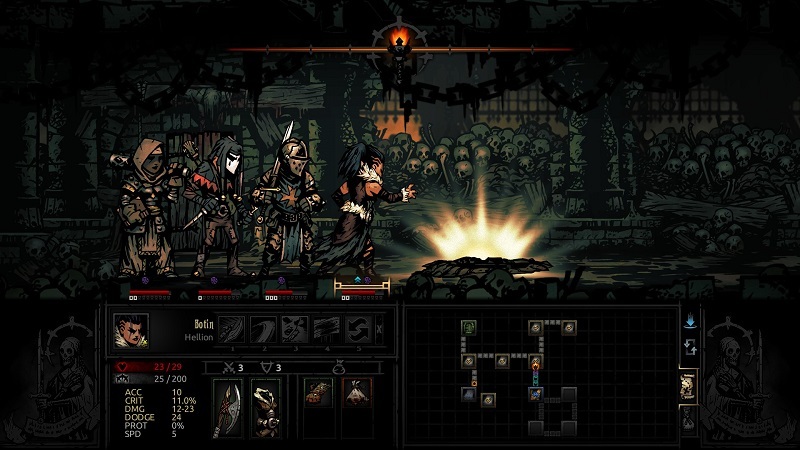 The game itself has you make a party of four heroes who play different roles everything from tanking, healing, different types of damage dealing, buffing, and weakening. This leaves you to quite a wide range of different combination you could come up with to run the five different types of dungeons. I was rather thrilled to see the game does not focus on mana and having to use skills in a limited fashion like that. Instead, some of the more powerful spells your party members can cast will just have a limit during the fight to how many casts or no limit at all. The only catch is you can only cast spells like healing during combat. This left me in some interesting serranos where I would have one monster left and I would just keep stunning it over and over while passing all my other turns to my healer to fix up the group before moving on in the turn-based combat system the game has. Instead, the biggest limiting factor to what each hero can cast is more depending on their positioning within the party itself. Some heroes have all their skills useable while in the first position of the party. While others can’t do a thing unless they are in the middle or even back. This also has an impact on which positions they can even hit on the enemies side when attacking. They showcase this in a rather simple matter as dots under the combat skills section on every hero. So while the game would not prevent you from saying having all tanks in a single party. Not all of their skills would be available and they would have to give up a turn to move forward in the party during combat. This, in turn, moves others out of range. You also have a limit to how many heroes you can have in your roster at any given time. This at the start of the game makings things rather risky as you are making the choice to run the same heroes over and over to farm the required resources. Instead of allowing them to take a break and reduce stress in the many different kinds of buildings you have access to. The leveling system itself using an experience system called resolve that you gain from going out into different dungeons. This, in turn, lowers how much stress the heroes are gaining while inside the many different difficulties. While also unlocking higher tier weapons, armor, and spells as long as you have upgraded those buildings. I like it when a game is more design around “that would be a stupid idea but go right ahead.” Instead of “sorry you’re not high enough level to do that. If you really wanted to take that level one hero into a more risky dungeon go right ahead and max out its stress bar and get it killed. Interesting enough higher level characters will refuse to go on the low-level dungeons. I guess they have more important things to do like to be bored. Heroes also gain positive or negative quirks. I’m not the biggest fan of this system as these things can happen from leveling up, attacking, and interacting with objects. With the game being more focused on giving you negative quirks from what I could tell. 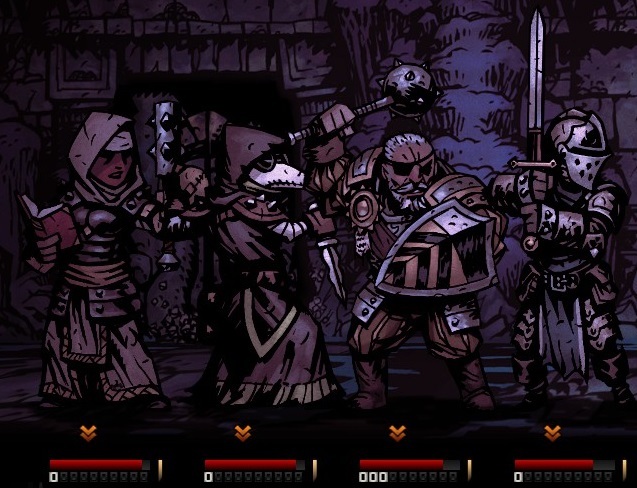 Sometimes one hero would pick up 3 negative quirks from one dungeon. I’m just not going have that hero sit unused for weeks in game and spend all my gold to have them removed. Many of them while not being able to rest in a bar or not likening a certain dungeon you just end up dealing with. Otherwise, you will always be out of gold while having a long queue of heroes you need to cure. There are also other things to cure like diseases which make sense if you are crawling around in a dirty dungeon for a week. The biggest lure to this game itself is the dungeon system. Each in-game week you are able to go on a single adventure with one team you make. You need to take everything you think you need with you from provisions to different heroes depending on their skill. You then explore the many different tiles sets inside hoping to find glory and treasure. While also using the risk vs reward method this game provides. 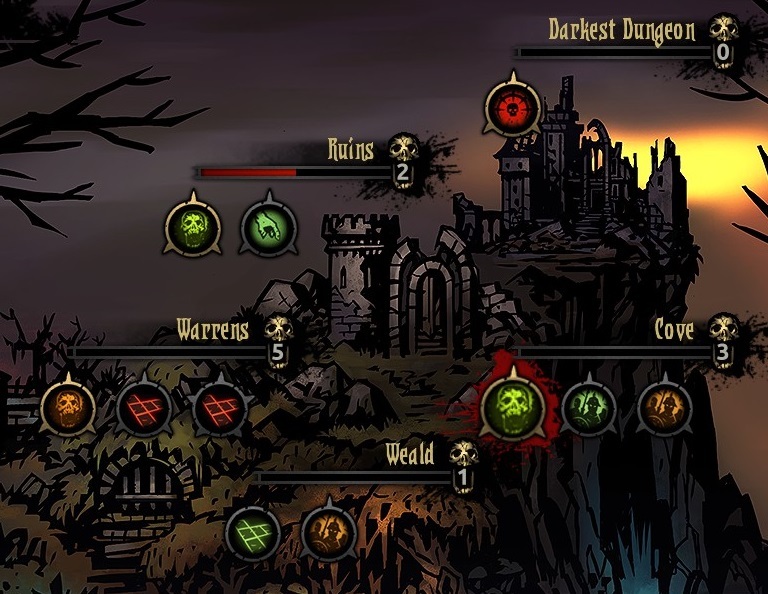 Most of the game you will end up running Ruins, Warrens, Weald, and Cove dungeons. Each one of these has its own type of monsters, challenges inside. The more you run off a single run the higher the level that specific dungeon becomes unlocking boss fights, higher level missions and longer ones. 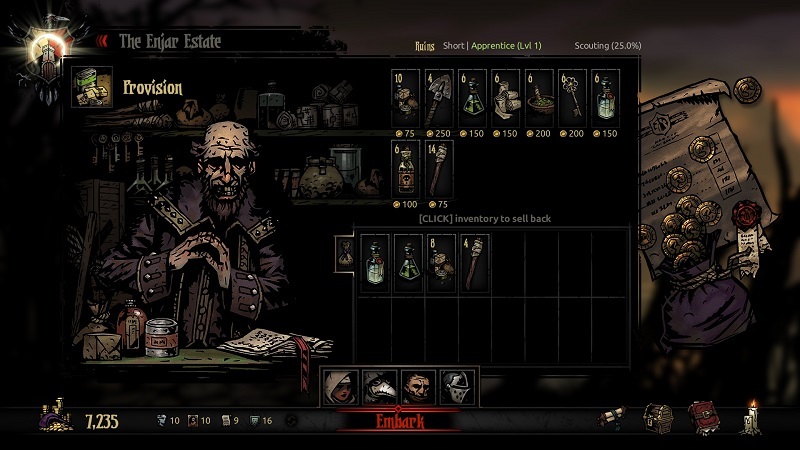 There is also the end game Darkest Dungeon where you are sent out to kill end game bosses that drop that reward some of the best loot in the game. Dungeons have predefined rewards that you earn for completing the task along with stuff you find along the way while inside. This could include heirlooms that are required for upgrading buildings, trinkets for your player to wear, and gold. While also gaining resolve for the heroes, unlocking harder dungeons, and progressing the game. 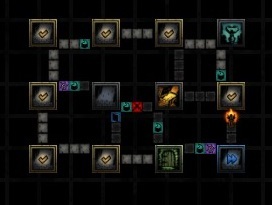 Each dungeon you need to work out ahead of time how many supplies to bring depend on how long or short the dungeon length is. This can be more of the essentials like food to keep your heroes from starving and torches keep the dungeon lit and less of a danger. There are also many different optional items to take like keys to open chests and herbs to cleanse certain options. While you could loot all these items while inside or open items without having the proper items. This all comes down to how much risk vs reward you want to take on. You have limited inventory space and items sell back for a fraction of the cost. The dungeon is made up of a network of rooms and passage areas. The bigger rooms could contain a higher level fight like a boss or harder encounters. The passage areas themselves could have traps, easier fights, and many items to interact with in trying to look them. One thing that I really loved was the ability to leave at any time which not all games in this genre give you the option. It is always best to do so before getting into a fight you can’t win as most of your group would die if you are trying to escape during a fight having heart attacks. I have on occasion decided to flee a fight and had my entire party expect one person die due to the stress. So it was always best to use this option under my own terms and not my tank and healer just died and I can’t burst the monster in this fight to the death. As long as someone lives you are allowed to keep whatever you found while inside. You can even keep going if you wish after completing whatever the object was like killing Swine, exploring 90% of the rooms, or finding a certain item. The biggest risk to reward has to do with the light level. You can uses torches while exploring to keep light at 75% to increase your chance in surprising monsters to get a stun and have a higher scouting chance to see what is ahead. While also letting the lights dim increasing hero stress and chances they receive critical damage in exchange for better loot and more experienced earned. 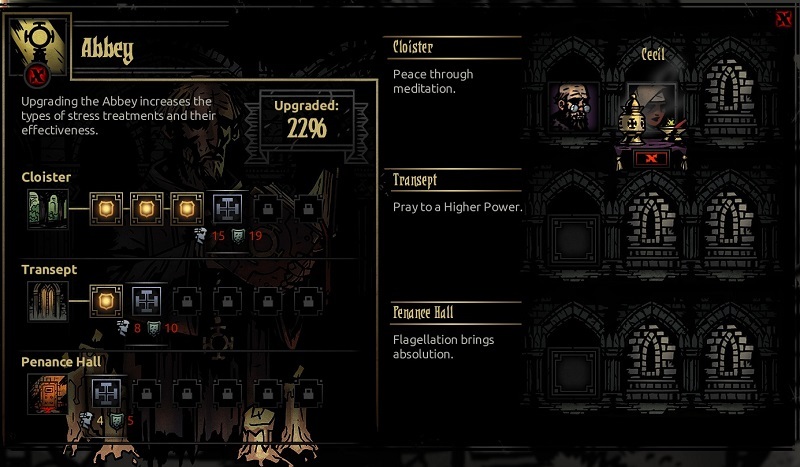 There are two main ways for a hero to die while inside of a dungeon that is from stress or taking damage. They have a stress bar that has two phases that goes up from darkness, events going on, and taking damage. In the first phase, the heroes resolve will be checked where they either overcome it or fail and become rather negativist stressing out other members or even on occasion refusing to play their role. During the second stress phase as well as that hero running out of life will cause them to have a heart attack. The result is being placed on death’s door where there a tick and chance for that hero to die. Sometimes you luck out and survive many death’s doors and are able to recover. Other times they are dead and sit in your graveyard for the rest of the game unless a special event happens. Losing a hero from death or having one of your more preferred ones needing to rest for a prolonged amount of time while you are still off running dungeons can set you back. This, as a result, has the player more focused on building up multiple possible group combinations that they enjoy running dungeons with. While not in the dungeon you have a few buildings to interact with. Some of them provide upgrades to heroes while others are a place for them to relax and take a week or more off as you take a different group into a dungeon. To upgrade buildings they require at least one or more of the four types of heirlooms: busts, portraits, deeds, and crests. You get these from running dungeons and you can even exchange them at different ratios. This at least gives you options if you end up over farming one type and really need another. If you are someone who enjoys trying to min/max a game working out which heroes enjoying what activates for relieving stress is going be one area of focus. You have the Abbey that is more focused virtues of praying and meditation. Then you have the tavern that focuses more on the sins of drinking, gambling, and a brothel! Some heroes will flat out refuse to even use some of these options. So you are left with having to upgrade a few different things from more slots to reducing more stress for that specific activity. You also have the Stage Coach which every week brings in new recruits if you need to replace a hero or have more room. What you get ends up being random and if you invest into upgrades you could even get people with some levels or a higher roster limit. Then you have the skill increase buildings like Guild and Survivalist. Where in the build you can upgrade your heroes attack, heals, group buffs and what have you. While survivalist focus just on your camping skills that are used in longer dungeons to try and reduce stress and heal among other things. Next up you have buildings to buy items from. 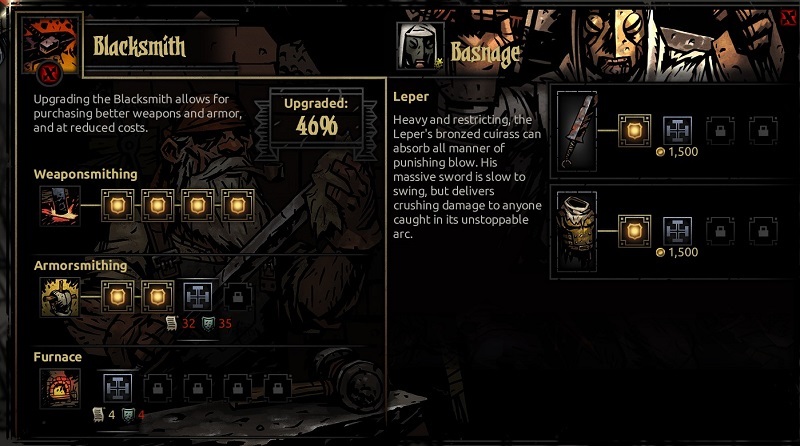 The Blacksmith has weapons and armor upgrades. While the weapons don’t have big upgrades on them for the tier to tier I noticed there is quite a difference in how hard a dungeon is by the level of armor. Things only cost gold and once you have a tier unlocked all character who is high enough level can buy it. Your heroes also have trinket slots which the Nomad Wagon sells. Trinkets often come with a tradeoff. That hero might deal 20% more blight damage but they lose -4 to dodge. This really lets you specialize in one area but makes you vulnerable to another on the lower end ones. 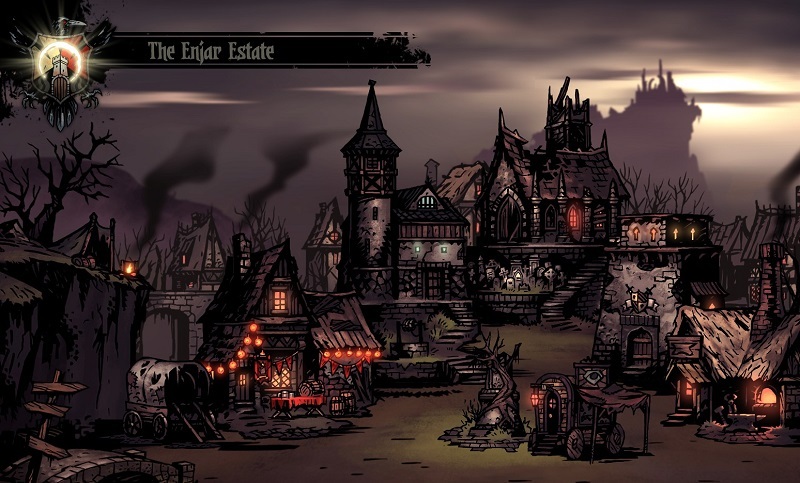 Buildings add a very interesting twist to a dungeon crawler game. Instead of just hoping to get the one item drop you need where you end up farming the same thing a hundred times over. It shifts that grinding into a more generic item like heirlooms. This in return opens the door to playing the dungeons you enjoy while still progressing in the game. Once you start to understand how the game works it stops being as brutal as those first few weeks are. It can still be quite a blow when you lose a higher level hero and don’t have a very high-level replacement. It is also interesting being able to buy armor and weapons with just gold from a building like a Blacksmith. Where games in this genre tend to have a heavy focus on farming individual items this game is a bit different. You still have things like trinket if that is your thing. It also lacks that feels of getting a huge upgrade to drop since you are just getting incremental upgrades throughout the game. Despite that, it is quite a fun game to load up from time to time. I take a look at the old classic Uplink. This Hollywood type hacking simulator game was a real treat to revisit again. It is amazing you just can’t beat the classics. While many games tried they were never able to get out of the shadow or surpass the fun or genre this game brought to the mark. 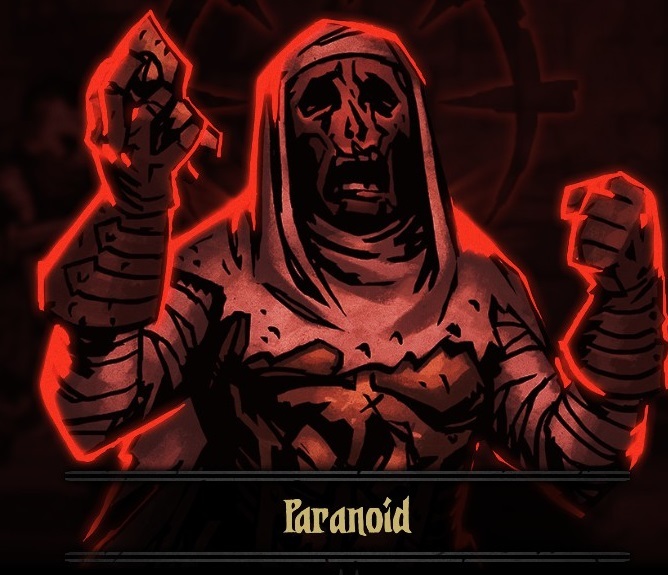 Screenshots were taken and content written by @Enjar about the game Darkest Dungeon.